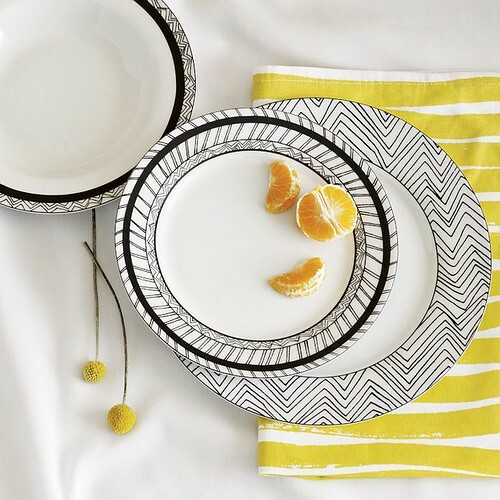 Oh hey there amazing black and white chevron plates. I NEED YOU. See the black and white scoop back chair here? Yes, I need to have a set of those. My cats have destroyed our chairs so badly that I have to PHOTOSHOP them. And I'm not really very good at photoshop, so they just look like smudgy torn up chairs. What? This thing exists? 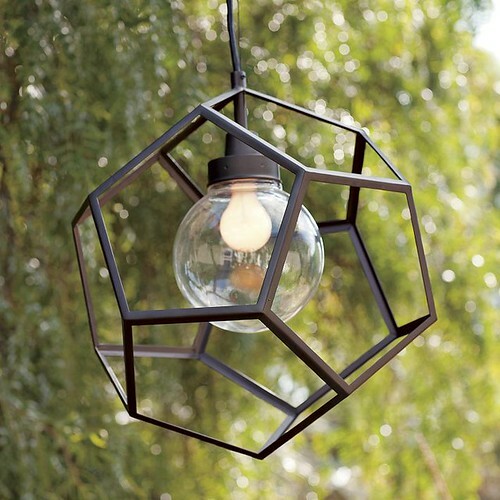 Best light in the universe. Apart from the Moooi, of course. Or my knock-off one. 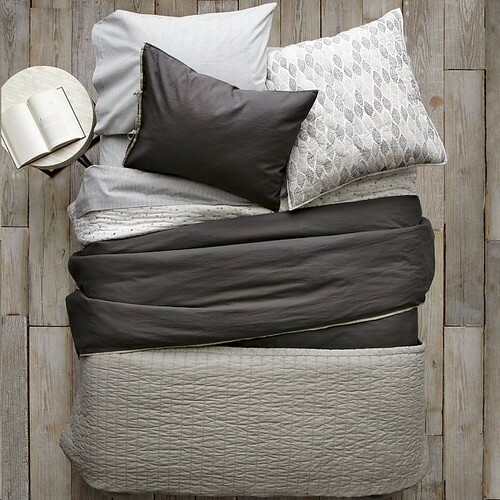 This is the bedding of my dreams. Even golden retriever hair and sticky baby hands couldn't ruin it. Ok, so I guess I need to get on the monetizing thing, or sell one million paintings, so that I can refurnish my house in West Elm. Best store ever. Those dishes are too good, I need a set. I can't wait to go through my West Elm catalogue tonight. I'm OBSESSED with West Elm, I have the massive lacquer black tray on my ottoman. The last time I was in T.O my suitcase was bursting at the seams with W.E loot. Those blk/wht chairs are fabulous!! !